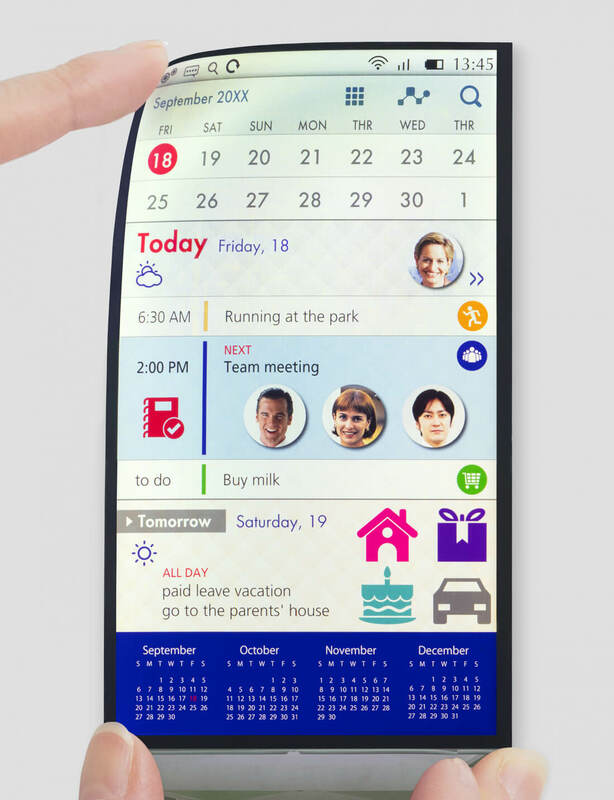 The curved OLED displays on the Galaxy Edge phones are one of the features that help make the handsets popular, but a Japanese manufacturer has developed a bendable screen that could be even better than what Samsung’s devices offer, and could end up in future iPhones. Japan Display, Inc (JDI) says that its Full Active Flex LCD screen uses a plastic substrate for both sides of the liquid crystal layer, meaning it has the kind of flexibility that can "help to expand the degrees of freedom in smartphone design," while being tough enough to withstand falls. The Galaxy S7 Edge has a screen that’s particularly susceptible to cracking. And once the screen breaks, it can lead to a long and occasionally nightmarish repair process. Thanks to those plastic substrates, it should take a lot more than a fall to damage the Full Active Flex. Additionally, JDI’s screen incorporates low-frequency driving technology, which means it supports 60Hz, 30Hz, and even 15Hz driving frequencies, the lowest of which can help save battery life when using applications that don’t require high refresh rates. JDI told the Wall Street Journal that mass production of the screens is set to begin in 2018. It says some companies – no mention of which ones, though Apple is a likely suspect - have already agreed to use them in their products, which will include items beyond smartphones, such as laptops and vehicles. JDI said it also intends to mass produce OLED displays next year and may start developing flexible OLEDs.